Kenneth earned an undergraduate degree in History, along with his teaching license from the University of North Carolina Wilimington. He later obtained academically and intellectually gifted licensure from Campbell University. He began his career in teaching Onslow County (2004-2006). Afterteaching in Pender (2006-2008), Duplin (2008-2012), and New Hanover Counties (2012-2013), he found a home in Johnston County (2013- Present). Kenneth has honed his skills in teaching by serving as yearbook sponsor, Beta Club sponsor, Math Department Chair, Battle of the Books director, and Odyssey of the Mind sponsor. He has also coached volleyball, soccer, football, basketball, softball, and cheer-leading. He received a North Carolina Principal Fellow scholarship and is attending NC State University to pursue his graduate degree. 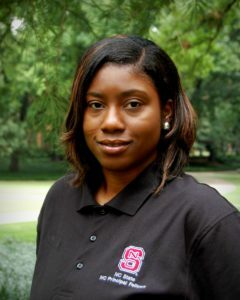 Brittany completed her undergraduate degree in Middle Grades Education at Winston Salem State University and obtained her Academic and Intellectually Gifted Licensure from Duke University. 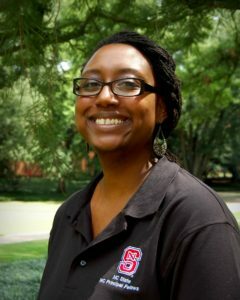 She served as an assessment writer for North Carolina Department of Public Instruction and as a curriculum developer for the SAPP Institute, a philanthropic entity for the Center for Smart Financial Choices in Winston Salem, North Carolina. Brittany has been employed in the Winston Salem Forsyth County School district her entire teaching career. She served as a seventh grade social studies teacher and sixth grade language arts teacher at Walkertown Middle School before joining NC Principal Fellows. Simone earned her undergraduate degree in African American Studies, with a minor in Women Studies, from the University of New Mexico in, Albuquerque, her K-6 alternative teaching license through Stanley British Primary School and the Colorado Department of Education, and her master’s degree in Educational Psychology from the University of Colorado at Denver. She was Teacher of the Year for Sandy Ridge Elementary school in 2011 and 2013. Simone co-authored the introductory Women’s Studies text, Understanding Gender and has taught in classrooms spanning from Kindergarten to Fifth Grade. 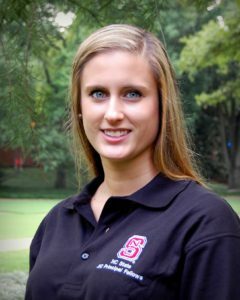 Simone is currently serving as an Educational Consultant for Excelsior Classical Academy in Durham, North Carolina. Ashley earned a Bachelor of Arts in Communication Studies from The University of North Carolina at Greensboro in 2007. She gained experience in sales and finance before returning to UNCG to obtain a Master of Education focused in Elementary Education and Teaching in 2011. 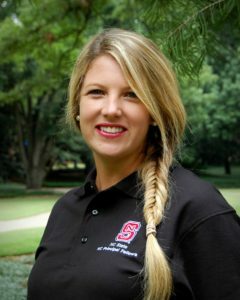 Ashley has served in the Wake County Public School System as a fifth grade teacher at Oak Grove Elementary School since 2011. In addition to teaching, she served as SIP co-chair, MTSS Intervention Team Case Manager, CPI team member and CPR/First Aid team leader. Ashley was chosen by her peers to represent her school as their 2016-2017 Teacher of the Year and she went on to become a 2016-2017 Wake County Public School System Teacher of the Year semi-finalist. 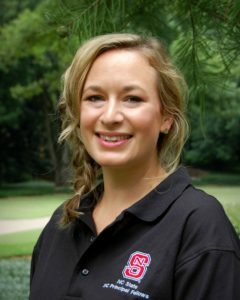 Ashley is a North Carolina Principal Fellow studying at North Carolina State University. She is currently working to obtain her Master’s in School Administration and is excited to be a change agent, strong supporter and encourager for her future staff, students, and families. Beth earned both a Bachelor of Arts and Master of Arts in German Language and Literature from the University of Oregon in Eugene, Oregon. She holds a K-12 German teacher license and an ESL teaching license. She was nominated by her colleagues as Teacher of the Year at Broughton High School (2015-16), where she has taught German for 15 years. From 2001-2005, she also taught German at Carnage Middle School. She served as president of her professional organization NC-AATG (NC-American Association of Teachers of German) (2012-14) and currently serves on the AATG Executive Counsel. Beth is an enthusiastic traveler who believes in promoting peace through mutual respect, understanding, and cooperation through cultural exchange. She is co-chair of the Rostock Committee for Raleigh Sister Cities. Ashlie is on a mission to engage students, empower teachers, and build lasting relationships in an uplifting school community that thrives on the talents of those who enter. 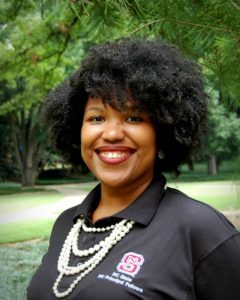 She earned her undergraduate degree in Elementary Education from East Carolina University and is currently pursuing a Master’s in School Administration at North Carolina State University as a North Carolina Principal Fellow, Class 24. Ashlie has taught in North Carolina public schools for seven years, licensed in K-6 education, and earned her National Board certification as a Middle Childhood generalist in 2014. In 2015, she co-founded a nonprofit organization that provides hands-on exploratory field experiences to elementary students studying North Carolina ecology. She was most recently a fourth grade teacher for Wake County Public School System and is currently teaching English as a Second Language remotely for Funbulous, Inc. in China. 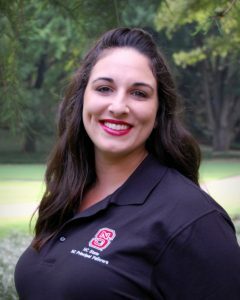 Ashlie has served as a mentor, coach, and teacher leader to her peers as a member of the School Improvement Leadership Team, both locally and regionally, and the WCPSS Teacher Leader Corp. Her passion lies in serving others through education. She resides in Franklin County with her husband, Jonathan, and their two furry children, Finn and Suri. Kristin attended Fayetteville State University on a full academic scholarship and received an undergraduate degree in Music Education (K-12). She began her teaching career with Orange County Schools, where she taught music at Hillsborough Elementary School for five and a half years. Kristin received an amazing opportunity to work with a program called Project L.I.F.T and moved to Charlotte-Mecklenburg Schools to teach music for a year and a half. While teaching in CMS she served as the department chair for specialists. During her time teaching in Charlotte Kristin was presented with the opportunity to teach English as a Second Language (ESL) in Shenzhen, China. While teaching in China she received her Teaching Young Learners Band 3 Certification from Cambridge University. After a year of teaching abroad she returned back to Orange County Schools to teach in an interim music position at New Hope Elementary School. 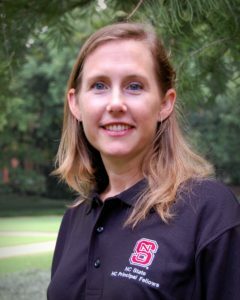 Kristin was selected to be a North Carolina Principals Fellow and is currently working towards a Master’s degree in School Administration at North Carolina State University. Douglas grew up in Hickory, NC before venturing to NC State University to complete his undergraduate studies. Douglas holds a B.S. in Science Education with a specialization in Biology. 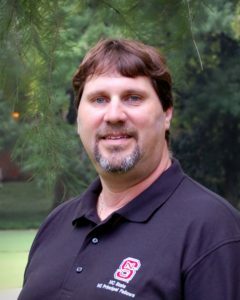 Upon graduating, Douglas began teaching in Wake County at Cary High School and has been there for the last 7 years. During his first 5 years, Douglas taught Chemistry, Physical Science and Forensic Science. He then served two years as an intervention coordinator working with the school’s at-risk population. After working with students, teachers, and administrators in this capacity, he went on to pursue graduate studies in school administration at NCSU. Liz earned her undergraduate degree in Psychology and Early Childhood Education at Springfield College in Springfield, Massachusetts. 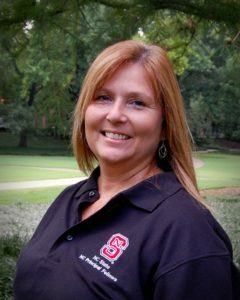 She earned her master’s degree in K-12 Reading, New Literacies and Global Learning from North Carolina State University. Liz served as a second grade teacher at Willow Springs Elementary in Wake County. She currently serves on the Board of Directors for the non-profit Read and Feed. 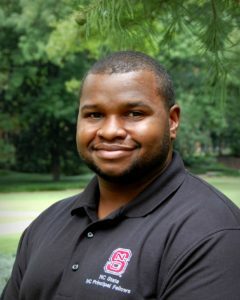 Bryce, originally from Greensboro, North Carolina, earned his undergraduate degree in Spanish Language and Literature with a K-12 Spanish Education Licensure from North Carolina State University in Raleigh, North Carolina. Bryce began his teaching career in Spain where he taught English and developed a tri-lingual curriculum in American History for high school students in a baccalaureate program. Upon returning to the US, he moved to Minneapolis where he earned his Minnesota teaching license and taught middle and high school Spanish. 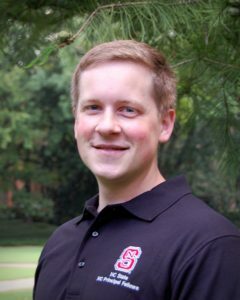 In 2014, Bryce returned to the Triangle to teach Spanish at Broughton High School, where he also served on the School Improvement Team, was a mentor teacher, and developed the Spanish for Heritage Speakers curriculum for Wake County Public Schools. He lives in Durham with his wife and their new son. Pam received her undergraduate degree in Business – Materials and Logistics Management from Michigan State University. Her career for the next fifteen years was at a telecommunications company as a Software Engineer and at a pharmaceutical company as a Technical Writer. She then earned her K-6 teaching license from Campbell University, and later received supplementary certifications in Middle School Language Arts and Social Studies, as well as Academically and Intellectually Gifted credentials. She was Grade Chair at Cooper Elementary School and Cleveland Elementary School. Pam was recognized as First Year Teacher of the Year at Cooper Elementary School (2011-12) and Teacher of the Year at Cooper Elementary School (2012-13 ). She is currently on educational leave from Johnston County Schools to pursue her aspiration of becoming an honorable school administrator. Kristy earned her undergraduate degree in Interdisciplinary Studies K-8 and her two-master’s degrees in Mathematics and Curriculum and Instruction from Western Governors University in Salt Lake City, Utah. She began her career teaching kindergarten for 3 months and third grade for one year in Alamance Burlington School systems. She became licensed in middle school math and science and moved up to teach 8th grade in Alamance Burlington Schools for 2 years. She transferred to Durham Public Schools where she taught 8th grade math for 3 years. During this time, she was nominated as Teacher of the Year (2016). 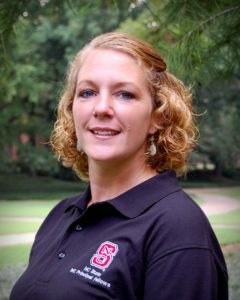 Kristy also served as the Chair for the School Improvement Team for two consecutive school years (2015-2016, 2016-2017) and was a presenter at the North Carolina Association for Middle Level Education (NCMLE) in 2017. Kristy worked as a Curriculum Coach for Chatham County Schools before joining NC Principal Fellows. Originally from Ohio, Kim now teaches in Apex where she lives with her husband and two young children. She has 12 years experience in the Wake County Public School System as a middle school educator in English Language Arts and Social Studies. Kim proudly graduated from Ohio University with a BA in Middle Grades English Language Arts and Social Studies (grades 4-9) and obtained her National Board Certification in English Language Arts for Grades K-12 in 2009. Although she enjoys teaching all subject areas, her greatest passions include elementary and middle school literacy, writing and social studies. Kim was a Teacher of the Year Finalist in 2014 and 2016 for Apex Middle School, beginning teacher mentor, a coordinating teacher for student teachers, private tutor, reading interventions instructor and a team leader during her years in Wake County Public Schools.